Railpictures.ca - James Gardiner Photo: CN M38531 10 headed up the grade towards Hardy with CN 5450, IC 2462, GECX 7785, and 155 cars. 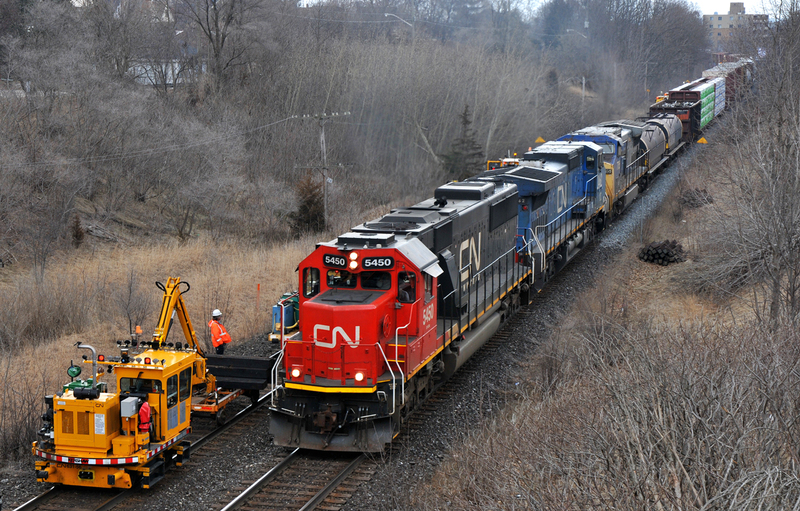 The mega tie gang can be seen working on the north track | Railpictures.ca – Canadian Railway Photography – photographie ferroviaire Canadienne. Copyright Notice: This image ©James Gardiner all rights reserved.